As you probably know from my BEST LENTILS EVER post, I am not a huge fan of lentils unless they pack a flavor punch and are relatively easy to prepare. Even though these lentils have so few ingredients, each one adds to its character. 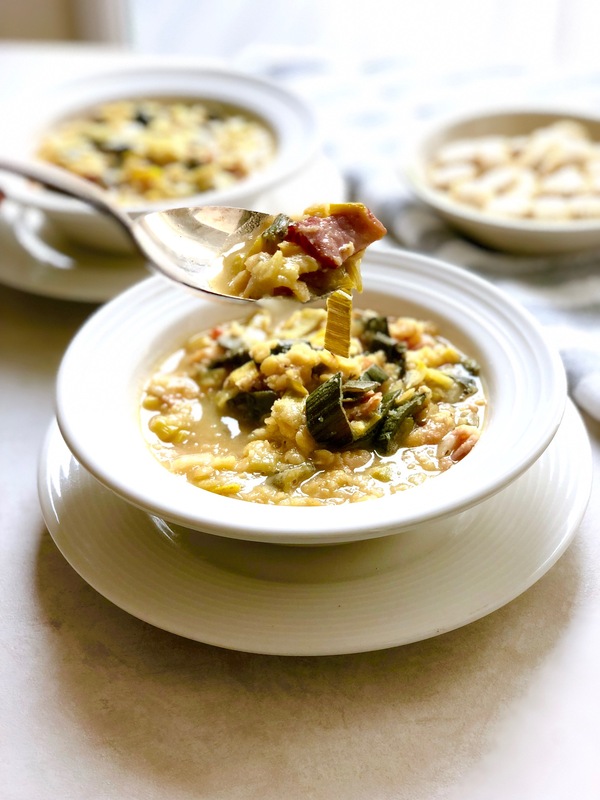 You are left with the perfect, minimal-effort crock pot soup that does not disappoint. 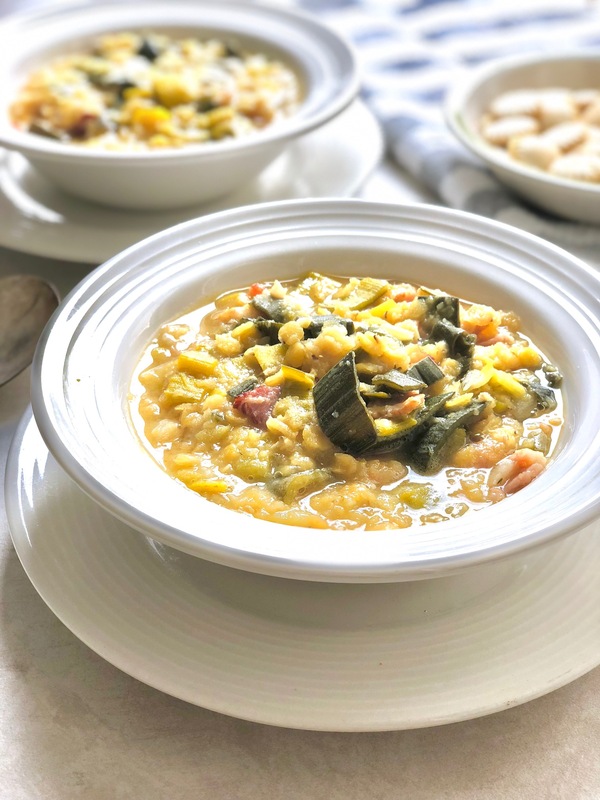 It is very reminiscent of a super yummy split pea soup but done in a fraction of the time by using quick cooking RED LENTILS. 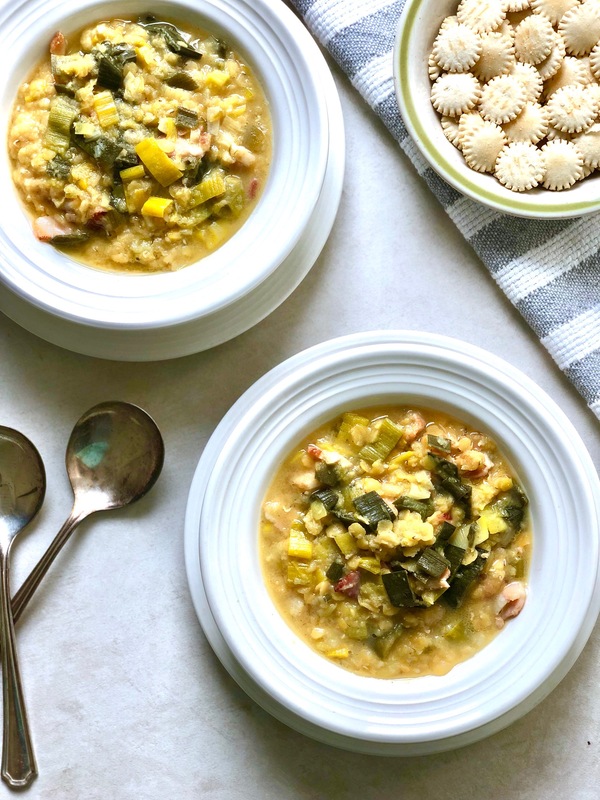 Add some soup cookies (aka OYSTER CRACKERS – we use creative food names to get a certain toddler to eat around here) or a small side of bread to help soak up the last little bit from the bowl. You won’t want to waste any of this liquid gold! If you like comfort food crockpot recipes, check out this yummy AWARD WINNING CHILI. It is still my favorite chili to this day! 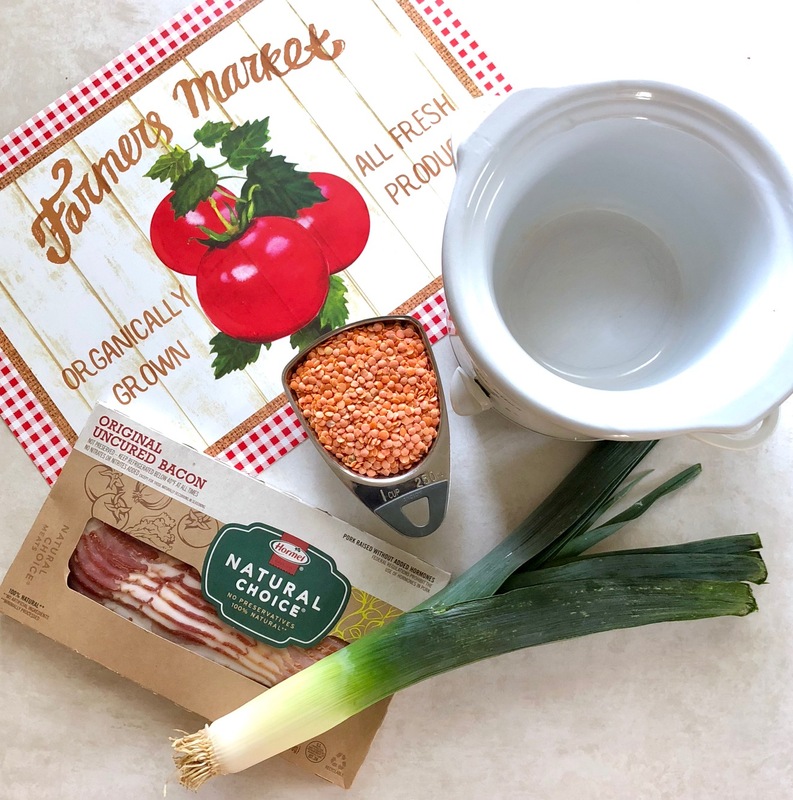 A delicious low-calorie, high protein smoky lentil soup loaded with bacon, leeks and only 5 ingredients total! 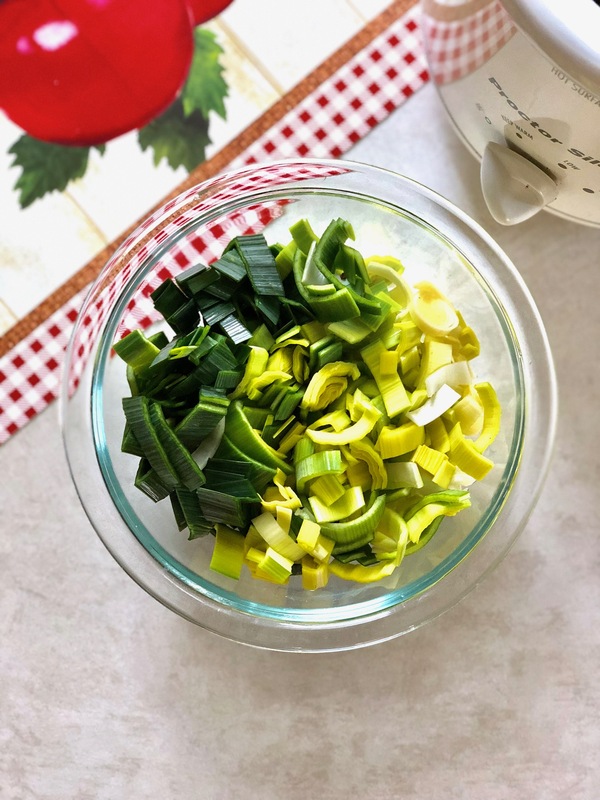 Makes the perfect quick prep crockpot meal! Heat small skillet over medium-high heat. Roughly chop bacon and saute for 2-3 minutes or until browned, stirring frequently. Add lentils and garlic and cook for another 3 minutes or until the leek begins to soften. Add to a 2 Quart crock pot. Add remaining ingredients to crockpot and stir well. Cook on high heat setting for 2 hours or low heat setting for 5-6 hours or until lentils are soft. Enjoy warm with bread or oyster crackers. Make sure to use Red Lentils as normal lentils may need more cooking time in the crock pot!